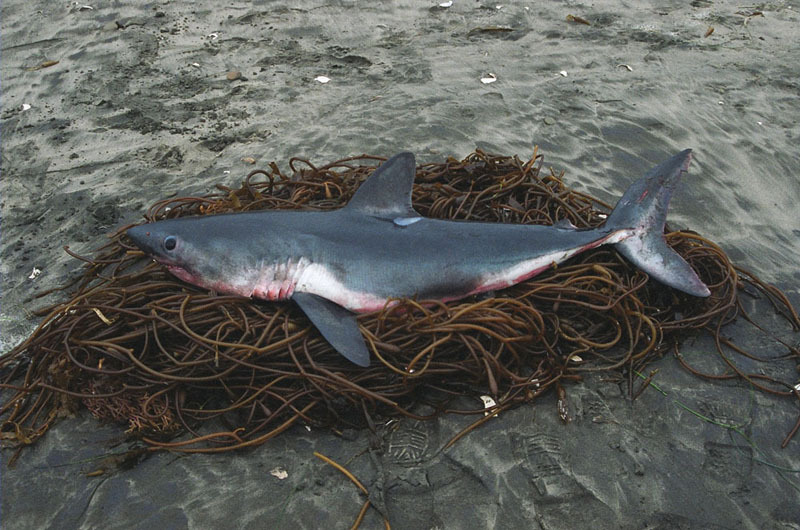 In order to better secure, preserve and utilize dead, stranded, beached or drifting marine creatures like sharks, fishes and/or other non marine mammal or bird specimens; the PSRF maintains a rapid response Collecting/Stranding Unit. 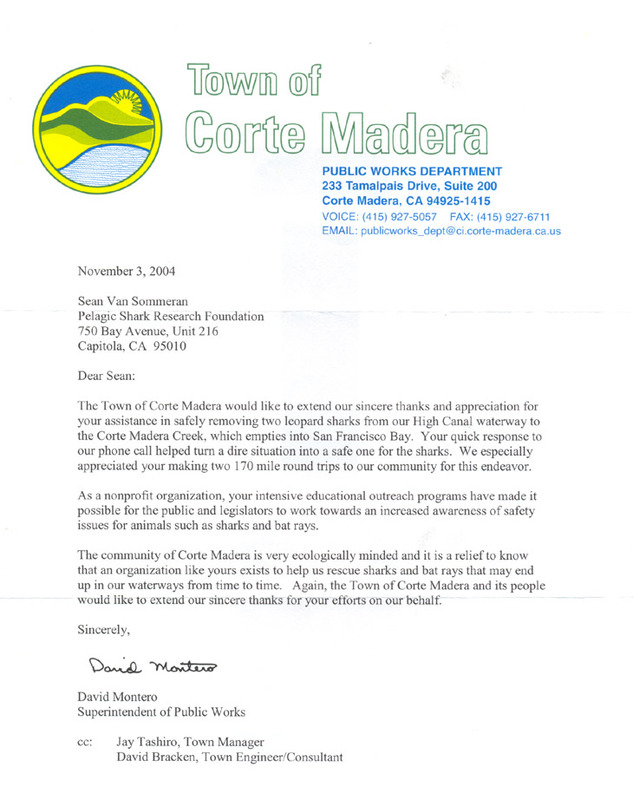 While marine mammals and birds have Marine Mammal Center and the California Dept of Fish and Game Seabird Center to repsond to situations involving stranding or beached specimens, sharks and fishes that wash ashore are often neglected and left at the seashore or at sea to be dealt with by the elements. 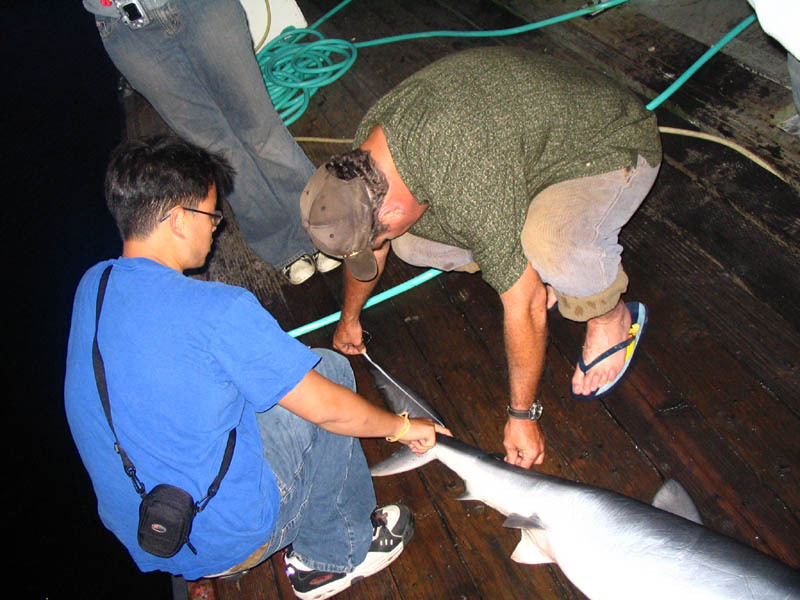 The Pelagic Shark Research Foundation established its Collecting/Stranding Unit in 1991 to address these opportunities to both rescue or recover dead or distressed sharks and fishes and other non marine mammal and seabird situations. 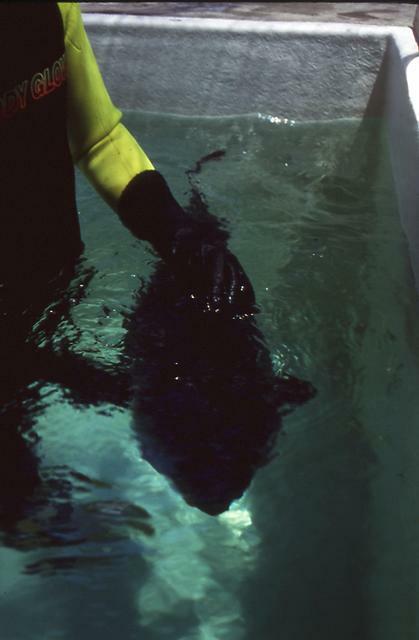 Typically an elasmobranch or fish that strands or beaches itself rarely recovers, however the Stranding/Collecting Unit has had a fair amount of successes in rescues as well as recoveries. When dead sharks or fishes are recovered and properly preserved as specimens it often can result in diagnostic information and case history as well as educational and other research purposes. It is a shame that many valuable beached specimens are lost due to lack of response. 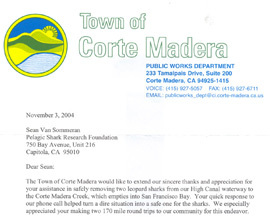 Locally the PSRF has been coordinating with local harbor patrols, life guards and rangers to recover stranded specimens since 1992. 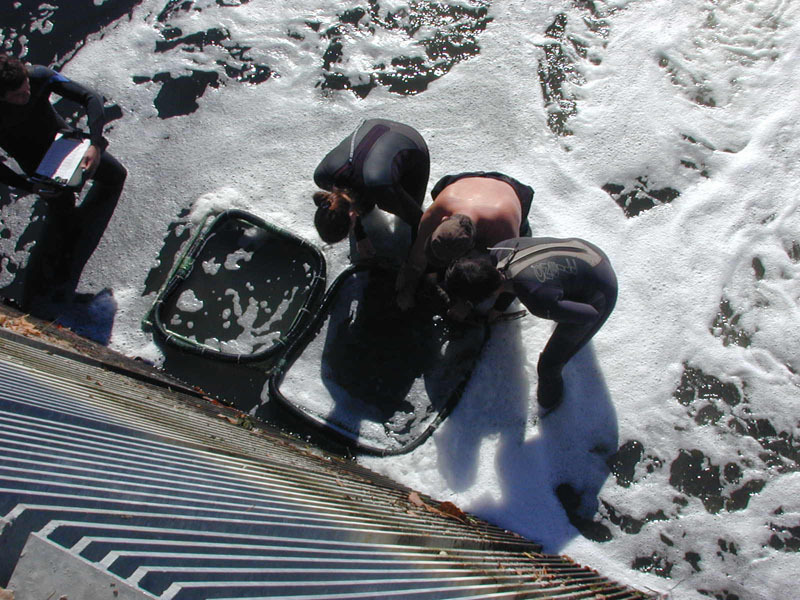 The PSRF Stranding/Collecting Unit works with UCSC Long Marine Lab, Stanford and even marine institutions abroad. 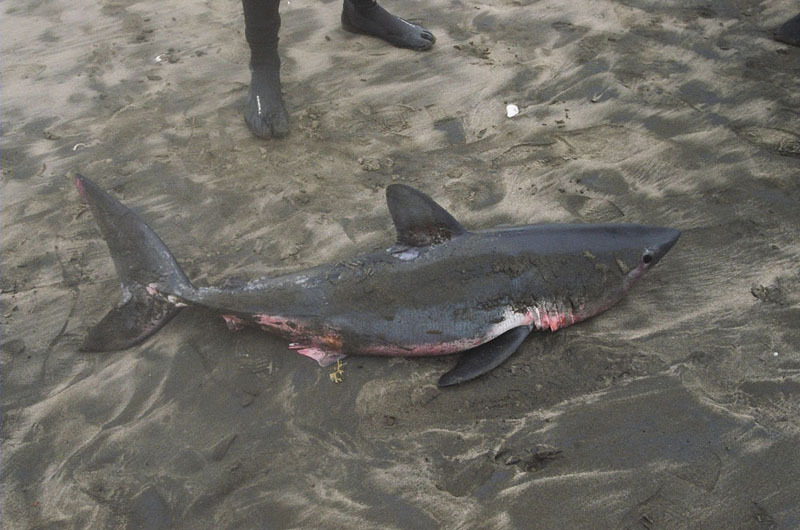 Cetacean and pinniped strandings/washups sometimes bear evidence of either shark predation or scavenging; in these cases the PSRF collecting/stranding unit makes an effort to investigate/document the situation or report. 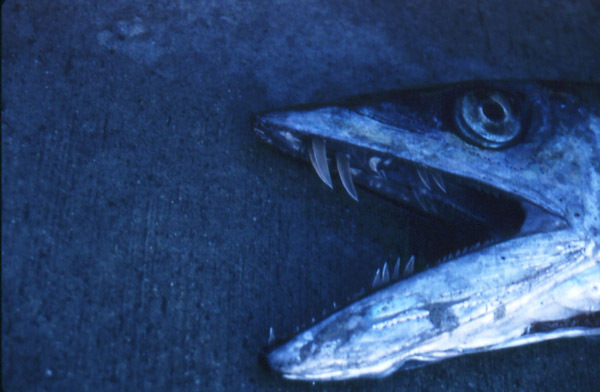 Some rare and valuable specimens have been gathered by our unit; everything from longnose lancet fish (A. ferox) and salmon sharks (L. ditropis), to pacific sleeper sharks (S. pacificus), large squid (D.gigis) and even a white shark. 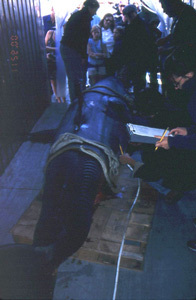 Not only does the unit help ensure proper storage and preservation of valuable specimens, it makes sure that the specimen is made available to other researchers and/or arranges/manages and conducts formal or field dissection/necropsy. 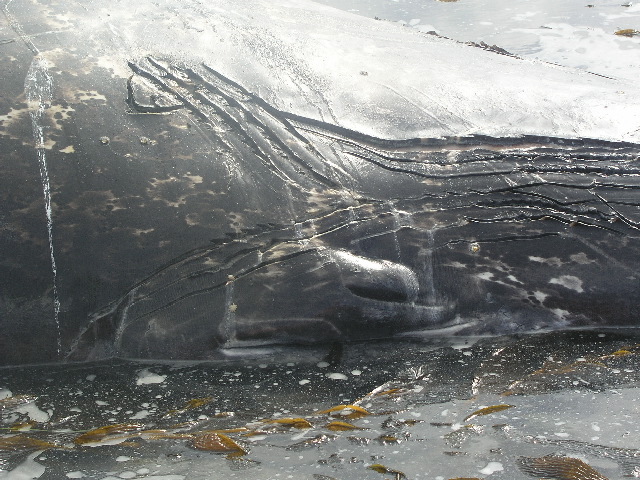 Drifting and beached whale carcasses within the Monterey Bay and Eastern pacific often involve evidence of shark bites. Whales killed and subsequently abandoned by sated orcas (O. orca) are often foraged upon by blue sharks (P. glauca) and white sharks and under some circumstances large benthic sharks. 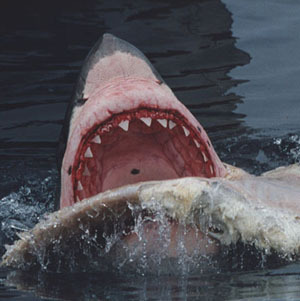 Post mortem scavenging occurs along the coast and far out to sea quite often. 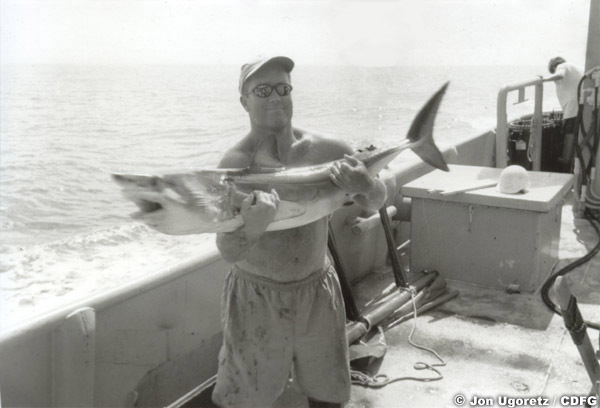 Below are a collection of images gathered along the Eastern Pacific Coast by the unit and US Coast Guard and sportfishing operators. Of particular interest is a Coast Guardsman's images (click below) taken from his vantage from the search/rescue helicopter, the images were gathered 80 miles off the coast of Oregon in Early Spring of the year. 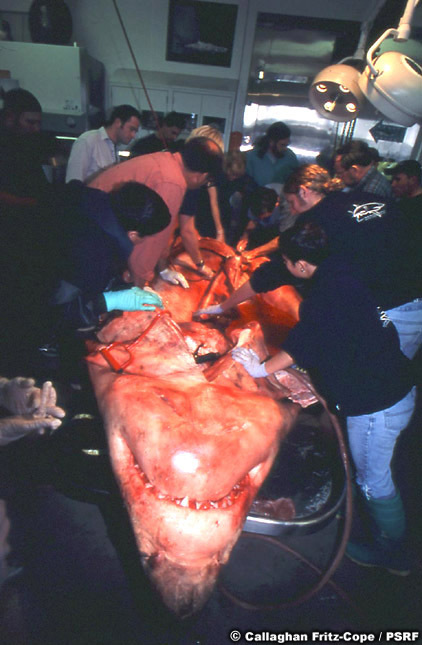 The Helicopter aircrew documented a large adult white shark, well offshore feeding upon a dead adult sperm whale (P. macrocephalus). 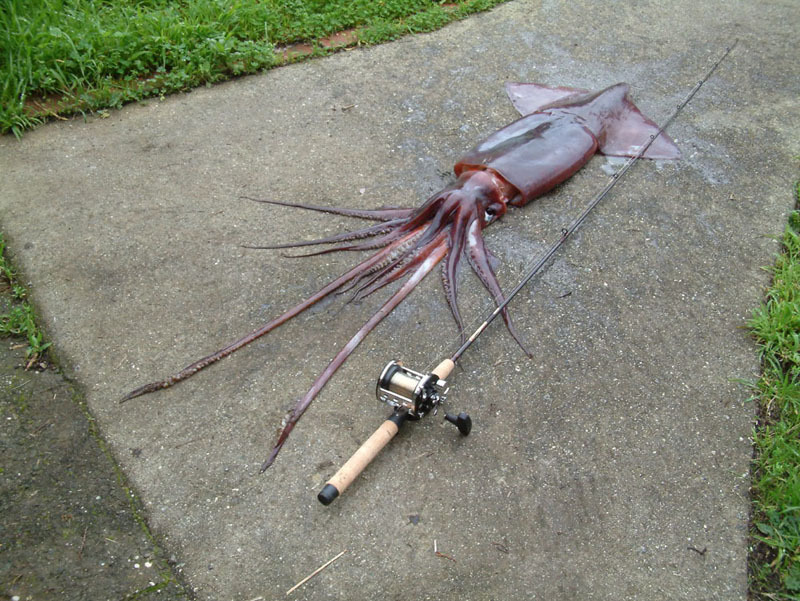 Also interesting and alarming is the series of photos (click below) gathered by Dave Lominska while sportfishing. The images document a dead adult california gray whale (E. robustus) being fed upon a large adult female white shark; the whale is entangled in a gill-net. Not good at all; the net draped well beneath the surface and posed a serious and on-going threat to the sharks it was drawing.